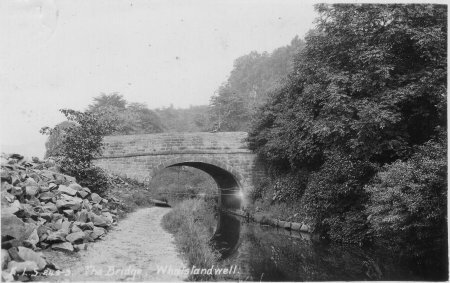 Bridge No.13 over the famous Cromford Canal, looking North. Eden House is just out of the picture on the left. The tithe map of 1841 shows a wharf here at Whatstandwell on the opposite, Northern, side of the canal to Eden House. See also Photo 449.